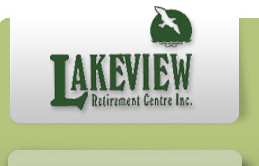 We are pleased to welcome you to Lakeview and wish to thank you for your interest. We take great pride in the fact that we are family owned and operated and have been providing senior services for three generations. We hope this can be seen in our attention to detail and high standards of care. Lakeview is committed to providing a comfortable environment where the resident and their family participate in directing care. We provide a high standard of nursing care that will meet the individual needs of each resident in a safe, clean, caring and respectful environment. Provide meaningful and satisfying activities that enable the resident to be enriched physically, spiritually and emotionally. Promote independence and good health habits through support and assistance and by providing nutritious and appealing meals. Tours are available by appointment from Monday to Friday. Call 905-664-2966 or email mark@lakeviewcentre.on.ca for an appointment.